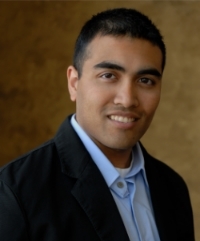 Hemant Mehta joins us on the "Mythicist Milwaukee Show"
Hemant Mehta is the author of “I Sold My Soul on EBay: Viewing Faith Through an Atheist's Eyes” and “The Young Atheist's Survival Guide: Helping Secular Students Thrive”. Hemant posts daily on his blog entitled “Friendly Atheist” on Patheos.com and is a sought-after speaker at secular conferences. He has worked with the Center For Inquiry and the Secular Coalition for America, and also served as chair of the Secular Student Alliance. He currently serves on the board of directors for the Foundation Beyond Belief which is a secular humanist organization that demonstrates humanism at its best by supporting efforts to improve this world and this life, and to challenge humanists to embody the highest principles of humanism, including mutual care and responsibility. You can support Hemant and his work here. Hemant will be traveling to Milwaukee on April 25th to speak at the Mythinformation Conference brought to you by Mythicist Milwaukee. Make sure to purchase your tickets today!